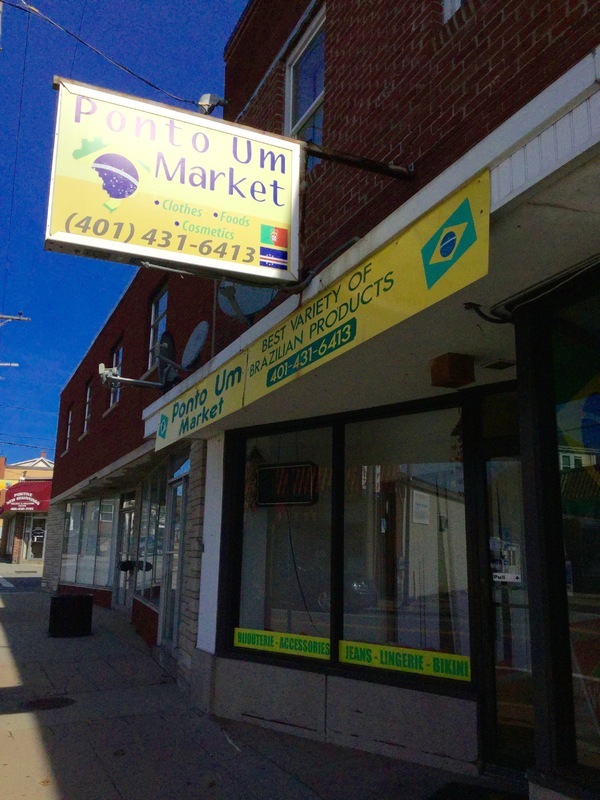 Walking into Ponto Um, an unassuming shop on Warren Avenue in East Providence, you may be greeted with a cheerful “Bom dia!” or another Portuguese expression. Ponto Um, which translates to Point One, advertises the “Best Variety of Brazilian Products” and, indeed, one would be hard-pressed to find another local store that sells more. The small market contains an eclectic and expansive inventory of goods, ranging from cosmetics and household products to hard-to-find spices, frozen foods (like pão de queijo), fresh breads and pastries, meats, and non-perishable products, many of which are imported directly from Brazil. In the back you find clothing, much of it emblazoned with the Brazilian flag, including jerseys so you can support the national futebol team. The Ponto Um Market has only served this neighborhood and wider region since 2007. However, it is part of a long tradition of diverse Lusophone, or Portuguese-speaking, communities in Rhode Island and southern New England. Besides Brazilians, the Ocean State is also home to people from Portugal, Cabo Verde, the Azores, and Madeira, as well as several generations of their descendants. Some of the first people of Portuguese heritage to come to Rhode Island were Jewish families escaping religious persecution in Europe, who traveled by way of Brazil and Barbados in the seventeenth century. By the mid-eighteenth century the community was large enough to need a house of worship, and Touro Synagogue--the oldest in the United States--was established in Newport in 1763. Throughout the nineteenth century, sailors from Cabo Verde and the Azores came to Rhode Island and southeastern Massachusetts to work in the whaling industry. By 1870, Portuguese speakers began working in the textile industry rather than whaling. Families from mainland Portugal and Madeira arrived in increasing numbers to work in mills and garment shops, joining the Azoreans and Cabo Verdeans who had already settled here. This long history of labor and immigration resulted in the presence of a vibrant multi-ethnic community of Portuguese descent in Rhode Island. Cuisine inspired by these groups can be found on the menus of many restaurants, in the form of Portuguese sweet bread French Toast, and linguiça and choriço sausage pizza. Along Warren Avenue, within blocks of Ponto Um, there is a Madeiran restaurant, Portuguese restaurants, and at least one other Portuguese market. Places like these and Ponto Um allow people to access foods that ensure the maintenance and growth of the foodways they and their ancestors brought with them to Rhode Island. 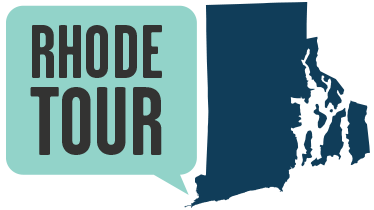 Data collected between 2007 and 2011 estimates that 21% of Ocean State residents speak a language, in addition to English, at home. Top languages spoken at home include Spanish, Portuguese, French, Chinese and Mon Khmer/Cambodian. Preheat the oven to 375F. Place the flour in a large mixing bowl. Place the milk, oil and salt in a saucepan and bring it to a boil. Once boiling, remove the liquid from the stovetop and pour it over the flour using a wooden spoon to thoroughly mix it. Allow the dough to cool to room temperature and add the eggs, one at a time mixing them into the dough until soft. Add in the cheese while working it into the dough with your hands. Roll the dough into small, bite-sized balls. Place the balls on a cookie sheet with space in between them, and bake for 20 to 30 minutes, until slightly browned on top. Eve Harene Dewan, “Ponto Um Market,” Rhode Tour, accessed April 21, 2019, http://rhodetour.org/items/show/70.